You can count on Sheffield Transport Sports Club to make your birthday event extra special. you can count on Sheffield Transport Sports Club for quality services at highly competitive prices. We will be more than happy to help you organise your event and make the most of our venue and facilities. 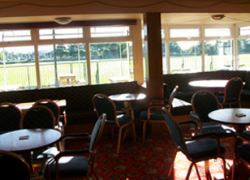 Sheffield Transport Sports Club are the perfect place to call if you are in need of somewhere to throw a party or to conduct a ceremony. Our staff will be more than happy to discuss your requirements and desires for the future event; and are able to offer their advice and guidance if required. Over the years we have had all kinds of events take place within the four walls of our function room and all of them have been a success; not only for us but for our hosts and guests too. We are dedicated to putting our guests first regardless of the situation. As well as a range of alcoholic beverages and soft drinks, we also serve freshly ground coffee and marshmallow hot chocolate. Our function room is great for corporate events and you can easily set up your event in our function room, which includes a small stage area. We can also accommodate up to 125 people in our venue for your business event and our team will be ready to assist you with any requirement you have. From conferences and training days to large scale meetings and corporate events, we can help you make your event successful. If you are looking for a great venue with an incredible function room, please call us today on 0114 237 3216. Make Your Birthday Extra Special. Being a family friendly establishment means that we will happily help you plan your event and advise you on themes, decoration and entertainment. Our venue has well stocked bars which are fully licensed as well as a small stage area; meaning we are the perfect venue for all types of events and ceremonies. We also provide aspects such as cricket ground and snooker tables, you can guarantee that you will find something you want to participate in.